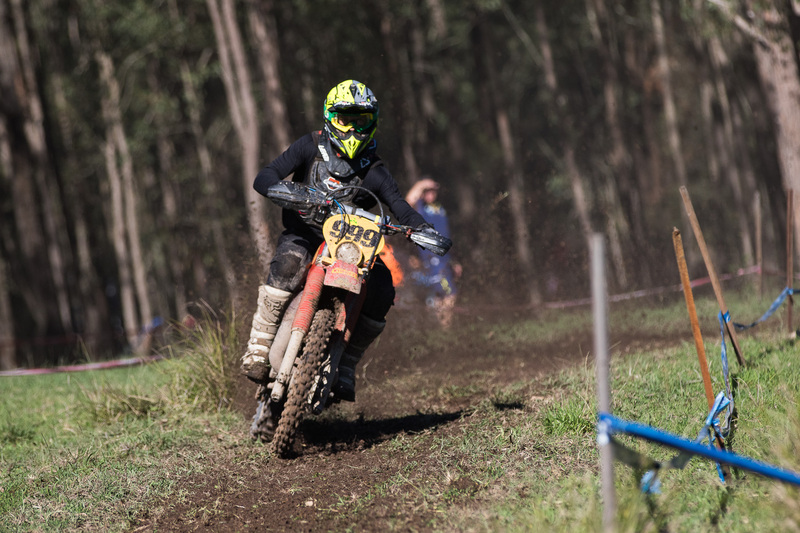 Under a blue sky and atop pristine soil, the 2019 Yamaha Australian Off-Road Championship (AORC) kicked off Round 3 in style with the sound of historic engines filling the air. Tackling the WR 450F Cross Test and Off-Road Advantage Enduro Test, the AORC Masters, Veterans and Women’s blazed an impressive trail, accompanied by two supporting classes, the Vintage Cup and the 2 Stroke Cup. All classes tackled the two tests, undertaking four laps per test. Taking out first place in each respective class today was Kirk Hutton, Lee Stephens, Geoffrey Ballard, Jessica Gardiner (Yamaha MX Store Ballards Off-Road Team) and Geoff Braico. 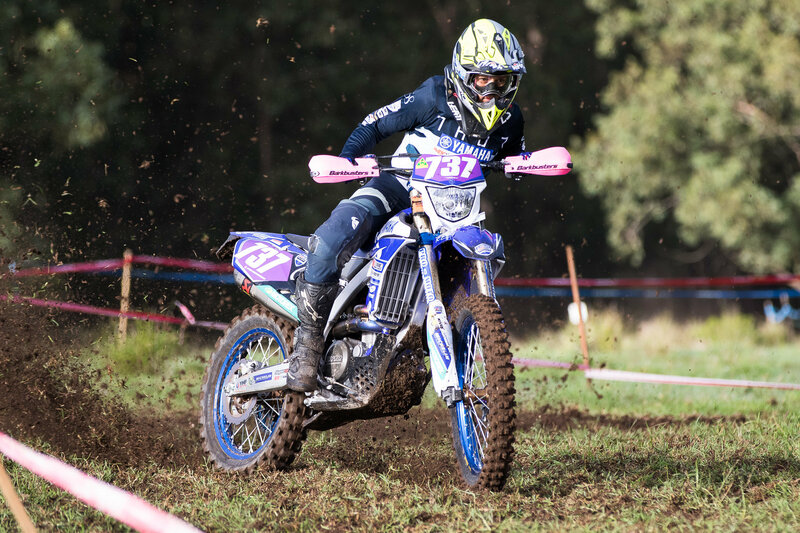 In the Women’s class today, results were quickly shaken up by a mechanical issue on Gardiner’s Yamaha during test one. Taking advantage of the situation, Emelie Karlsson lead the charge early, however Gardiner simply couldn’t be beat and finished the day on top with a total time of 49:08.717. Karlsson finished in second behind Gardiner by just over a minute and ten seconds, with a total time of 50:23.125. Rounding out the podium in third is newcomer to the AORC ranks and a familiar face from Toowoomba, Emma Milesevic. Milesevic clearly used her Motocross skills and thirst for success to her advantage to clinch the final podium position away from her rivals. Milesevic finished today with a total time of 53:09.863. Reflecting on today’s success, Gardiner stated “it was a really good day conditions wise, especially considering the landscape back in Toowoomba. We were very spoilt in that department! “The trail is really good with some slippery sections that definitely keep us on our toes. The Dungog Motorcycle Club have outdone themselves this weekend in making this event tough from start to finish! “Otherwise, I had a few dramas early in the day by hitting a rock which bent my chainguard. I had to deal with that after test one which affected my first time, but I got everything sorted and ended up winning every test afterward,” explained Gardiner. The AORC Masters brought some fire to the cooking put today, with the top three podium holders battling it out for the gold. Coming out on top though was Hutton with a total time of 46:38.371. Just a mere two seconds behind Hutton on second place was Brad Williscroft, with a total time of 46:40.374. Rounding out the final podium position today was Timothy Martin, who secured his position ahead of the remaining pack by just over two minutes! Martin’s total time for Round 3 was 47:55.218. Following on from an undeniably success reign in Toowoomba for Rounds 1 & 2, Stephens continued his lucky strike here in Dungog to take out first place in the Veterans class. With a total time of 47:46.798, Stephens lead the Veterans pack by just over 30 seconds! Scott Dunn took out silver today with a total time of 48:17.805. Dunn was a force to be reckoned with in Round 3 as he battled it out with Stephens, taking out the fastest time for his class for one test. Nabbing the final podium position today for Veterans was Chris Thomas, who flew into Control one minute after Dunn, with a total time for Round 3 of 49:19.009. One of two supporting classes this weekend, the Vintage Cup featured two impressive competitors, Geoffrey Ballard and Hadyn Fisher. With the class catering to Evo Pre 86 bikes, Round 3 saw Ballard take out the fastest total time of 32:03.860. Fisher experienced some difficulty during his second and fourth tests, which heavily impacted his overall time. Fisher finished today with a total time of 2:35:45.633. After back-to-back wins back in Toowoomba for the two opening rounds of the season, Adam Giles was knocked off the winning perch by Braico! With a total time of 45:15.593, Braico sits comfortably in first place ahead of Giles, with just over a two-minute lead! Giles finished Round 3 with a total time of 47:33.216. Landing in third place behind Giles with a total time of 48:33.347, was Bradley Redman. Redman holds onto third place comfortably ahead of his rivals, with a solid four-minute lead! Our Masters, Veterans, Women’s and supporting classes return for more action tomorrow. 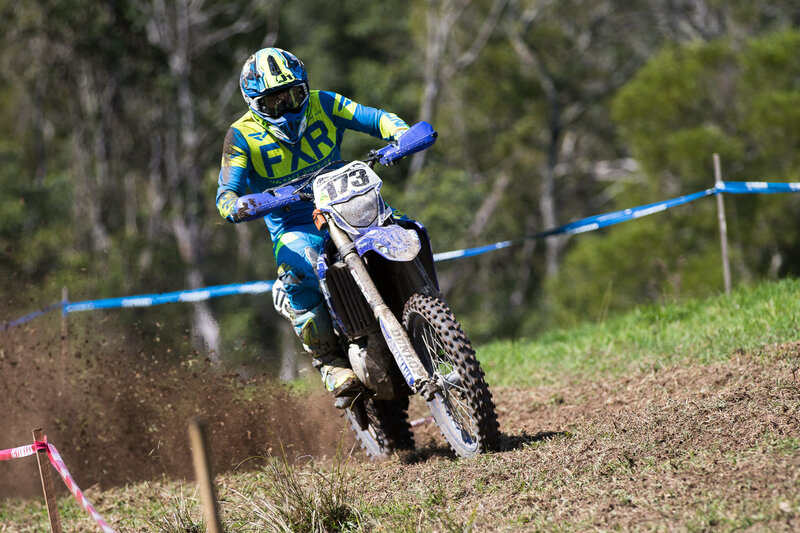 Keep updated on all the action in Round 4 by heading to AORC.org.au, Facebook and Instagram.